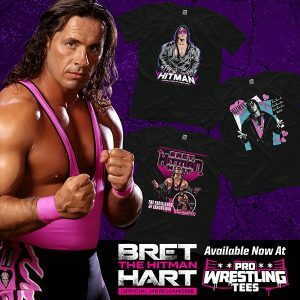 The Hitman productions team spent months in development to bring you this design which is precisely based on the famous 90's era Hitman ring gear. 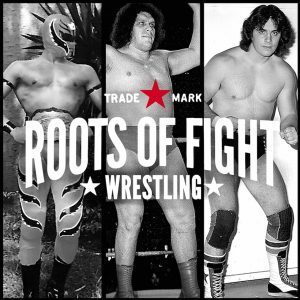 Bret's original gear was carefully photographed and digitally illustrated to bring this design to life! 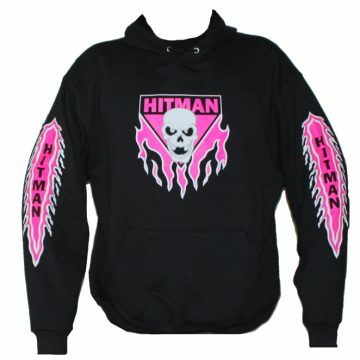 This hoodie features an exact replica of the Hitman logo from the back side of Bret's ring trunks, and the flaming HITMAN design on the sides of the sleeves from Bret's 90's era ring gear pants. The back of this hoodie is blank. Ultra soft fleece inside, 50/50 cotton/poly blend makes for a super comfortable fit. Sizes Men's: S, M, L, XL, XXL. Men order regular size for relaxed fit, ladies order one size down for relaxed fit. REG: $80 *NOTE TO NON CANADA/US Customers: If you select small packets surface delivery time can vary from 7-12 weeks, we recommend small packets air, which is generally 2-3 weeks.